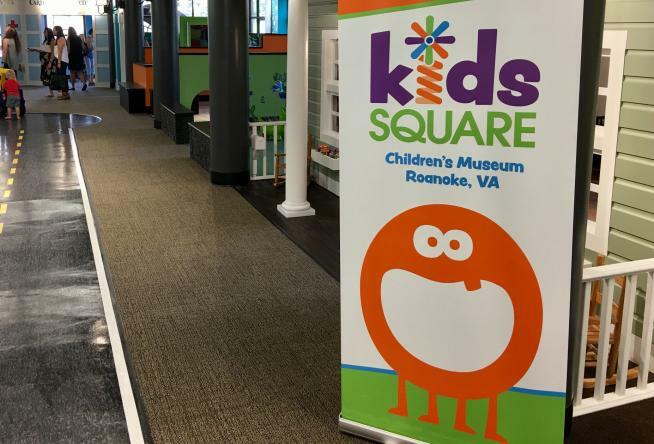 Downtown Roanoke in Virginia’s Blue Ridge now has another museum with the opening of Kids Square, the Don & Barbara Smith Children’s Museum. It opened on Tuesday, August 15, and is located in Center in the Square on Market Square in Downtown Roanoke. 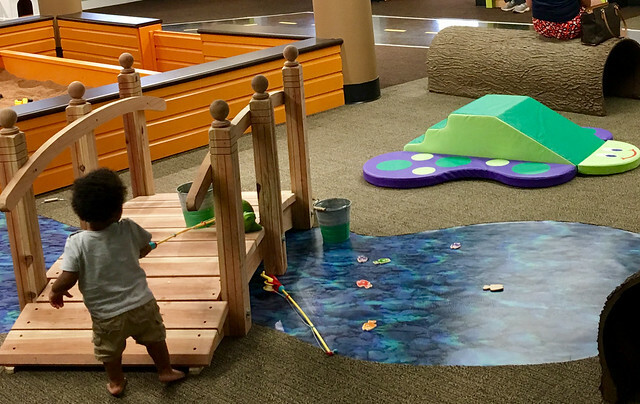 This exciting new 15,000 square-foot museum is full of interactive, educational, multi-sensory activities for children that will keep them entertained and also provide the opportunity to have fun with other kids. 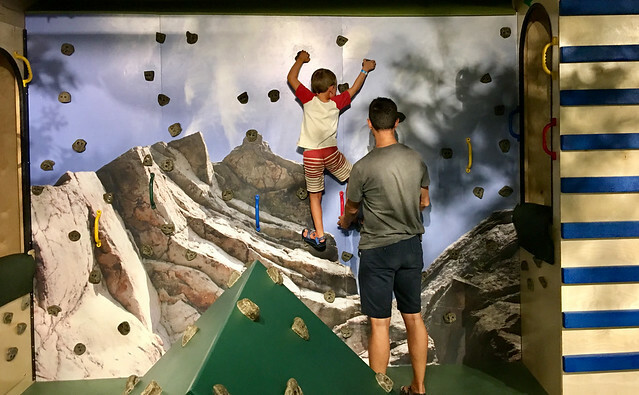 There are a variety of themed exhibits, which will introduce children to different experiences and industries, while keeping everything centered around a kid-friendly atmosphere full of fun. Some of the exhibits include the Town, Theater, Forest, Dig Pit, and Sensory Cove. The Town is designed to replicate a miniature, real-life town, featuring local businesses such as a Hometown Bank, a Cox Communications studio, and Kroger grocery store. The Theater includes a small stage, puppet theater, costumes, and props for kids to create their own special production. For the adventurer, the Forest is home to a rock climbing wall, tree forts, slides, and a camping exhibit. The kids will also love playing with the trucks and bulldozers in the Dig Pit. The Sensory Cove is a unique exhibit that was designed for children who experience sensory challenges. The exhibit offers cause and effect lighting, a fish aquarium that’s home to the striking Glow Fish, tactile walls, and mirrors. Many of the exhibits are connected by a miniature road that makes its way through the museum, so keep an eye out for traffic as kids go racing by in mini vehicles! 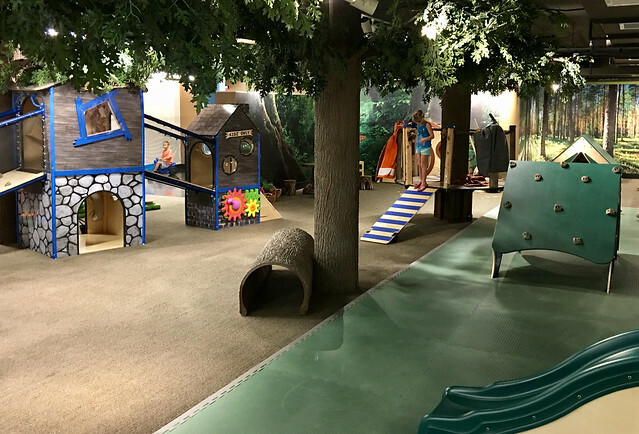 If you’re looking for kid-friendly fun during your next visit to Virginia’s Blue Ridge, Kids Square is definitely a spot to include in your schedule. Here are a few other details to help you plan your trip. Kids Square is located on the 3rd floor of Center in the Square. Your best option for parking is in the Center in the Square parking deck, which has an entrance on Campbell Avenue. You can also visit our Downtown Roanoke Parking page for more information about other nearby public parking decks and lots. Annual memberships are also available for purchase. The museum features a party room that can be rented out for special events and is perfect for birthday parties. Kids Square is one of many fantastic museums in Center in the Square, which is also home to the Roanoke Pinball Museum, Harrison Museum of African American Culture, and Science Museum of Western Virginia. An entire Blue Ridge Day could be spent exploring the different museums in the building, and you’ll also want to check out the rooftop gardens and aquariums in the lobby. You may even be able to catch a performance by Mill Mountain Theatre! The Historic Roanoke City Market is located outside Center in the Square, as well as a variety of local shops and restaurants, including many at the City Market Building. 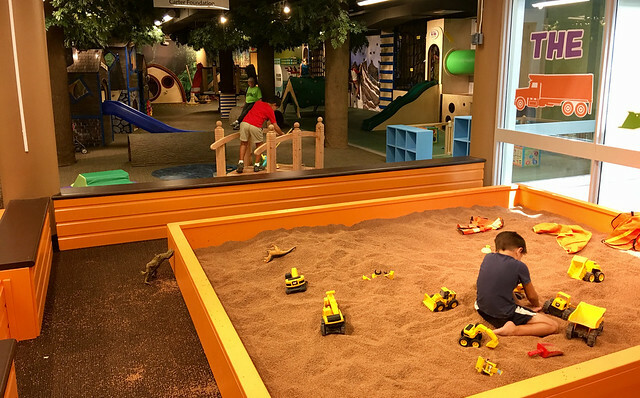 You’re also just a short walk from the Taubman Museum of Art, featuring Art Venture, a hands-on creativity space for children, and the Virginia Museum of Transportation. Learn more about the downtown district by taking a look at our Must See Main Street: Downtown Roanoke blog post.